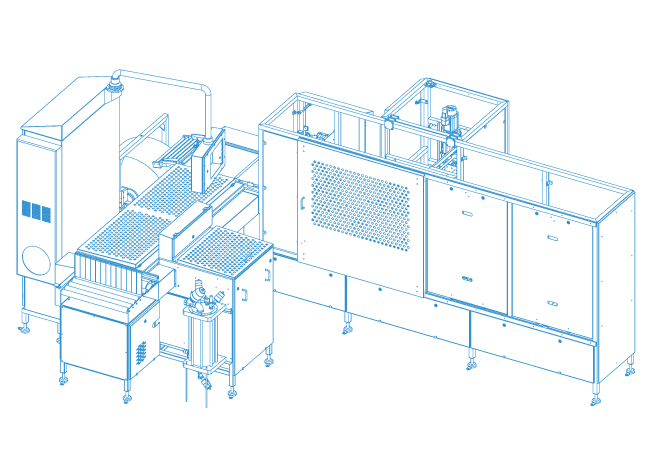 The fully automatic vacuum packaging machine is characterised by an automatic bagging station with roll bagger unit, as well as the subsequent fully automatic vacuum sealing and welding with the VSM® system. This makes the VSM® 3005/4005-R the high-performing unit in your production and packaging line. The VSM®3005/4005-R is the efficient and high-performing solution for fully automatic packaging. Demand for highest quality and precision with our in-house production and purchased parts means that all machines of MBM innovations GmbH are characterised by their long lives and reliability. In addition, long-term and rapid availability of spare parts is guaranteed. In the event of emergency, our internal Service department is on hand to provide competent and solution-oriented assistance. Comprehensive training of staff on site when setting up the machine contributes towards ensuring smooth operations and quick responses to minor faults.